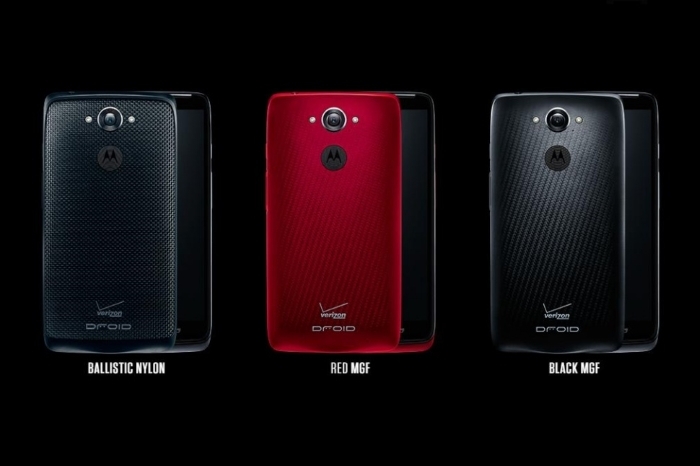 The Droid Turbo is a fruition of this effort as it stands out against its competitors with shining colors. What some are calling a more beefed up version of the Moto X, the Droid Turbo is an awesome phone with impressive specs, stunning build quality and fantastic performance. Motorola Mobility has changed quite a bit over the past few years. From becoming a spin off of Motorola in 2011, being bought by Google some short months later, to being sold to Lenovo just this year. Amid it all, Motorola has remained one of the strongest players in the mobile industry by proving that to make an awesome phone you don’t have to reinvent the wheel. When you first turn on the phone you are greeted with a stock Android experience. This has been Motorola’s take on the UI for the last few phones they have made and it is still a welcome addition. One of the first things I noticed was just how smooth everything felt. Animations were fluid, apps opened up quickly and changing screen was silky smooth. This all due to the fact that the Droid Turbo is quite a beast when it comes to specs and coupled with the stock Android UI, there is nothing to slow it down. Where the Droid Turbo really stands out are the new software features that Motorola’s has built into it. You most likely are already familiar with the hands free features that Motorola introduced with the Moto X and all that and more are present here on the Droid Turbo. 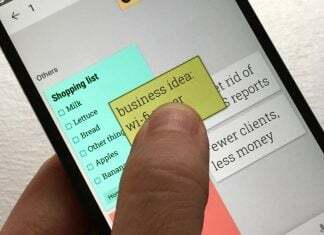 You can wake up the phone and give it commands by using your phone. Hand gestures can snooze or silence the phone if it is face up. The niftiest feature though is the ability to see if you have a notification by just picking up the phone. This does of course affect battery life but with the huge battery the Droid Turbo has it shouldn’t be an issue. 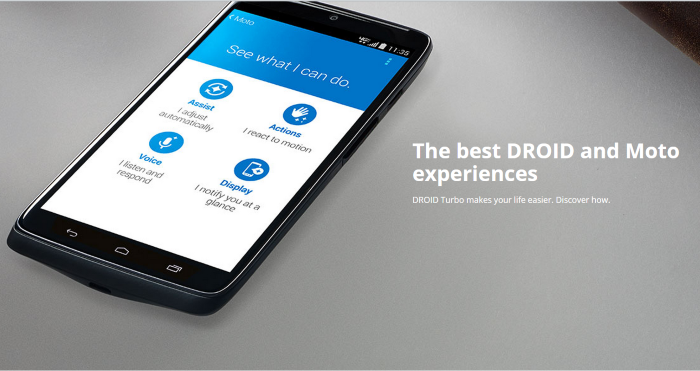 One new feature that was recently introduced is the Zap ability of the Droid Turbo. What this basically allows you to do is send files and images to other Zap uses for fast access. You can do so publicly or using a secure pin. Again, nothing revolutionary but a welcome addition nonetheless. The Droid Turbo comes with a 3900 mAh non replaceable battery. While a battery this size is not unheard of by any means it usually only comes in the latest trend of “phablet” phones. Motorola states the battery will net you up to 48 hours of battery life, or two full days, but I found it to be more of a day and then some. During my test drive I took it on my usual smartphone routine which consist of lots of Buzzfeed videos, checking the news periodically and streaming music. The phone lasted me all day and I didn’t have to charge it until late the next day. So I believe the 48 hours are feasible but only for light to medium usage. Camera wise, the Droid Turbo has a 21 MP front shooter and 2 MP rear shooter. I was able to take some decent photos but nothing that is going to win any awards. It performed as a smartphone camera should though and was on par with other flagship phones except for the Galaxy S5 which did take better stills. The video quality was also good and I had no issues taking a video of my little brothers soccer game to showcase later. Nothing more than can be said in this department other than it is a smartphone camera and that’s how it performs. The Droid Turbo performs brilliantly due to the combination of the great hardware and the fact that it runs stock Android. I loved how everything just felt smooth and fast. The main apps opened up quickly and after I finished downloading all my usual apps non of them lagged one bit. If you want a great performance and just want things to work smoothly than the Droid Turbo definitely does not disappoint in that area. While the Droid Turbo is no longer the latest and greatest handset on the market, it has managed to stay on a level playing felid nonthless with its awesoem software features and hardware. If you need a phone that is more than capable of handling anything thrown at it, looks modern and sleek, and manages to stay alive for more than a single day of use, then the Droid Turbo is a fanstastic option. For some more information regarding the device, and if you now feel the need to purchase one for yourself, follow the link provided to head on over to Amazon.